"Unsung Heroes but not Forgotten." 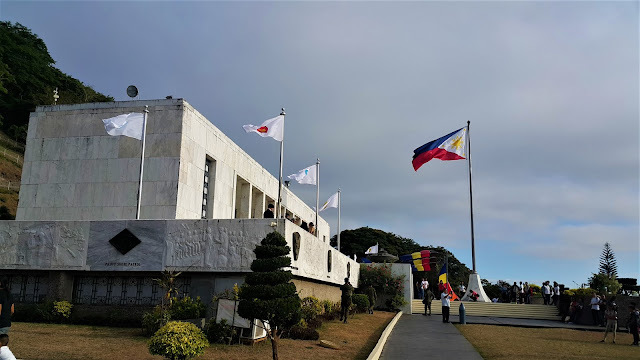 To give tribute to the hardships and the stories of our beloved veterans and heroes of the World War, the 77th Araw ng Kagitingan gathered together the war veterans and unveiled of the Viewing scale model and launching of the augmented reality project for the Mt. 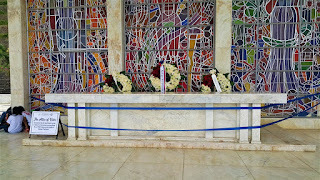 Samat., April 9, Bataan. The program started through an invocation from Rev. Father Lee P. Leonida, Parish Priest of San Isidro. 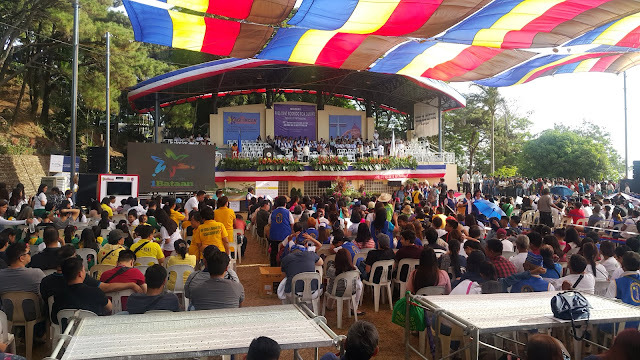 It was followed by the Ceremonial Bell Tolling lead by Veteran Gavina Clemente Manuel, the VFP Post Vice President, Pilar Post and Dianne L. Vargas of Pablo Roman National High School. To welcome everyone, Congressman Jose Enrique Garcia III of the 2nd District of Bataan gave his warmest greetings to all the guests. It is followed by speeches coming from H.E. Koji Haneda and Mr. John Law. "That [Japan] will never again repeat the devastation of the war... We will tirelesly make efforts to bring about the world that each people in a way that's rich in spirit. We will carve out the future of the generation right now and the generation of tomorrow. " H.E. Koji Haneda, ambassador of Japan to the Philippines said. 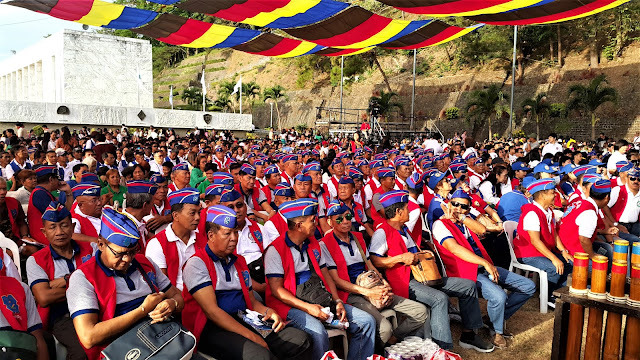 Present at this momentous event includes The Department of Interior and Local Government Secretary Eduardo M. Año and Vice President Leni Robredo. Aside from the program itself, one of the highlights for this event includes the presentation of marker for the 'Shrine of the Smoke-Free Philippines' headed by Pilar Mayor Alice Pizarro. 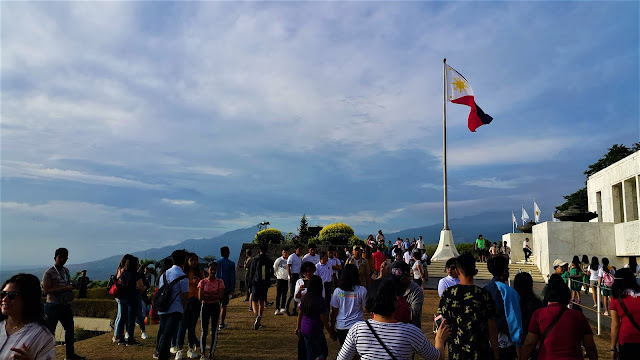 Mount Samat is a historical landmark and a national treasure from the town of Pilar in Bataan. 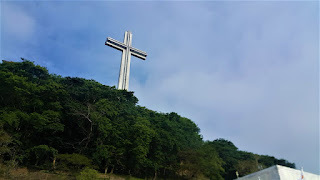 This national shrine located in the mountain houses the historical cross dedicated to all the fallen Filipino and Americans who sacrificed their lives during World War II. 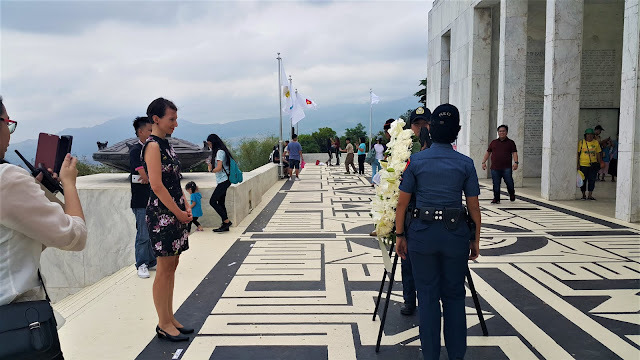 Representatives of different countries also showed their respect through personally sending their representative to offer flowers and prayers at the monument in Mt. Samat. This year's 77th Araw ng Kagitingan celebration run activities from March 31 to April 14, 2019.